Long arm performance is now available at an affordable price and it’s no surprise that Rough Country is the company to do it. 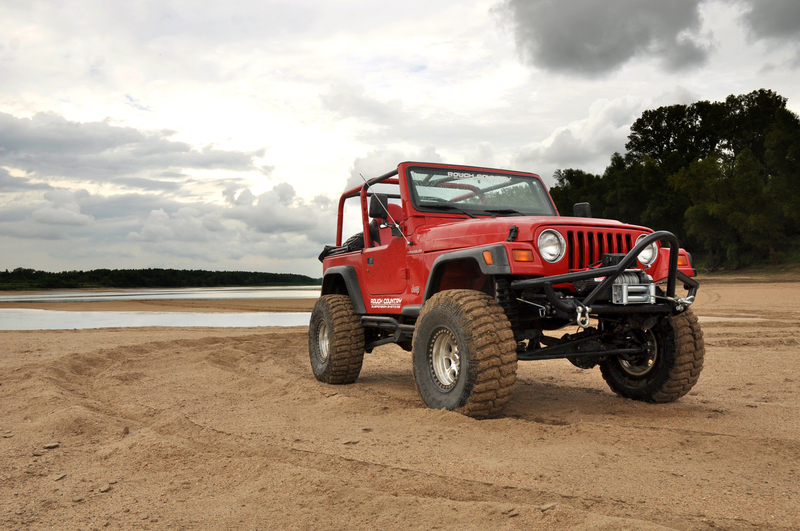 The new 97-06 Jeep TJ long arm upgrade kit is available for TJ’s already lifted 4 to 6 inches. 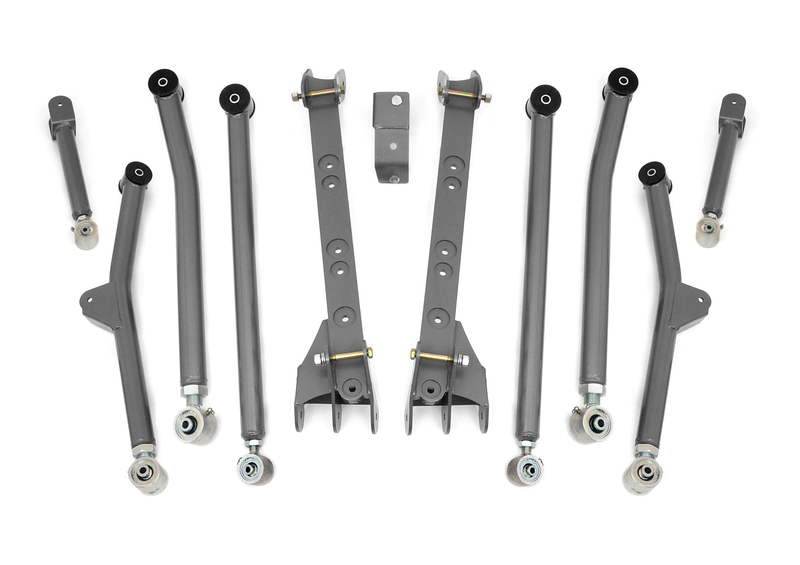 This kit delivers great features such as high clearance Y-link front design, high clearance four link design in the rear, rebuildable x-flex joints, and heavy duty quarter-inch steel control arm mounts. As always, all Rough Country kits include their 100% satisfaction guarantee and “If you have a problem, we will fix it” warranty. For more information about the new 97-06 Jeep TJ Long Arm Upgrade Kit, please contact Rough Country Suspension Products at http://www.roughcountry.com or call 800-222-7023 today! You may also contact Rough Country to find an authorized dealer near you, or visit the “Dealer Locator” link at http://www.roughcountry.com. Formed in early 1970’s, Rough Country Suspension Products was one of the founders of the off-road industry and today is one of the fastest growing manufacturers and marketers of lifted suspension packages and off-road accessories for both 2wd and 4wd trucks and SUVs. Rough Country Suspension Products is owned by Heckethorn Products. Heckethorn Products has a storied history in the automotive aftermarket that includes inventing the first steering stabilizer for military Jeeps in the 1950s. As a complete supplier, Rough Country Suspension Products offers retailers, jobbers, and consumers an opportunity to purchase products the market is demanding.